China and its strategic approach to Germany and Europe is a chief concern for Chancellor Angela Merkel. 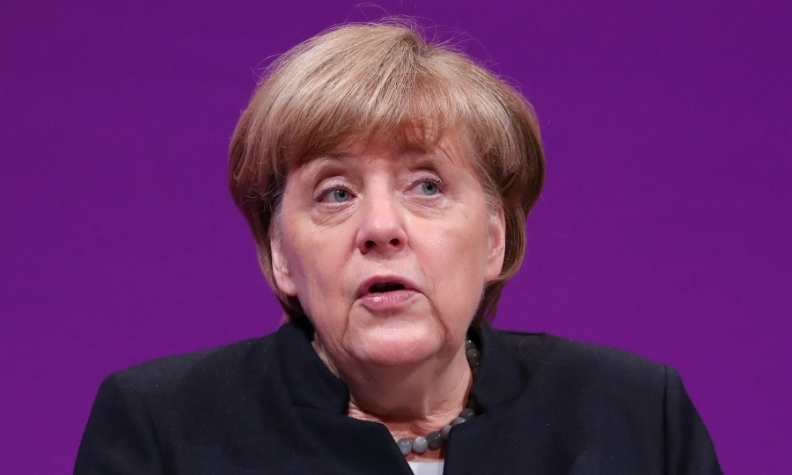 BERLIN -- Two weeks ago, in an otherwise unremarkable speech in a small town near the Baltic Sea, Chancellor Angela Merkel raised the specter of the "huge challenge" to German industry posed by China. Meeting that challenge has moved center stage in Berlin after Chinese billionaire Li Shufu's accumulation of a $9 billion stake in Daimler. Li's sudden emergence as the automaker's largest shareholder exposes a dilemma for Merkel's incoming administration: which investments are welcome, and what to do about those that are not? It's a predicament that's increasingly occupying political leaders across Europe as China puts its $11 trillion, state-controlled economy to work snapping up prime assets while dragging its feet over granting equal access to its own market. Chinese investments in Europe range from Greece's main port to electricity grid operators, a planned high-speed rail link between Belgrade and Budapest, a bridge in Croatia and even Italian soccer clubs. Daimler is the latest in a long line of German targets for Chinese investors. The wake-up call was Kuka, a robot maker bought by China's Midea Group in 2016. A planned takeover of semiconductor equipment maker Aixtron was halted the same year. Just last week, the government said that it was examining State Grid Corporation of China's bid for a 20 percent stake in 50Hertz Transmission, an ultra-high-voltage grid that is a cornerstone of Germany's transition toward renewable energy. "Chinese investment is increasing in very strategic sectors," German Deputy Economy Minister Matthias Machnig said in a Bloomberg Television interview last month. "The problem is going to be if there is only interest to have technology flow from Germany to China, and of course if there are security questions. It's a question of case-by-case study and evaluation." Even before the Daimler move, China and its strategic approach to Europe had become the chancellor's chief global concern, according to a senior German government official with knowledge of her thinking. It's a theme that's clearly occupying her: she referred to China's incursions into Europe in at least three public speeches in the past month alone, stressing the need for Europe to step up its vigilance and "to speak with one voice" on China policy. Those concerns are not confined to Germany. China's Belt and Road Initiative is dividing European governments into two camps: those predominantly in central and eastern Europe that explicitly back it, and those such as France, Germany and the UK that have been more circumspect in their support due to a lack of reciprocal access to Chinese markets. Germany, France and Italy are now taking the lead in pushing for a tighter screening regime for outside investments -- read China. That is mirrored by a proposal working its way through the European Parliament that would give the commission, the European Union's executive arm, the right to supervise investments in sectors where it subsidizes technologies. The matter is due to be discussed at EU trade minister level in Sofia Tuesday. Those moves have become more urgent as the U.S. under President Donald Trump turns more protectionist. Without screening programs that match the rigor of those in the U.S. or Japan, Europe risks becoming "the shop of last resort for China and others seeking advanced technologies," Francois Godemont and Abigael Vasselier wrote in a report for the European Council on Foreign Relations published in December. French President Emmanuel Macron, during a visit to China last month, said it's up to Europe to find ways to provide its own investment funds to stop companies -- and EU nations -- from turning to foreign powers for assistance. The EU will earn the respect of Chinese officials if it learns to defend its strategic industries, he said. Judging by the response to Daimler from German lawmakers, the balance between fencing off a company as strategic and equipping German industry to compete in a globalized world is hard to strike. In a show of cross-party consensus, most contacted by Bloomberg said Geely's investment was positive, and opened up new possibilities in areas such as electric vehicles. Take Kuka, which is building its presence in Germany and developing new markets after Chinese investment, in contrast to Aixtron's consolidation, according to Joachim Pfeiffer, leader of the parliamentary group on economic and energy policy for Merkel's bloc. "We shouldn't be naive; we need reciprocity, we need a level playing field," Pfeiffer said in an interview. "But that can't mean Germany closes its market, it has to mean that China opens its market. In the current environment where protectionism is on the rise, Germany can't take a national approach or engage in a race of building up new trade barriers." In her speech earlier this month, Merkel referenced the fact that while her party would lose the Finance Ministry to the Social Democrats in her next government, it gains the Economy Ministry, and plans to give it more of a key role in confronting challenges such as China's push into artificial intelligence -- as well as on foreign investment. Li should get a sense of just how welcome Geely's investment is Tuesday when he visits the Chancellery in Berlin for talks with Merkel's chief economic adviser. The move into Daimler reflects a growing global ambition of Chinese companies, according to Max Zenglein, a senior economist at the Berlin-based Mercator Institute for China Studies. The focus on Daimler and 50Hertz also suggests a pattern. "The investments fit into the framework of strategic investments as advocated by the Chinese government," Zenglein said in an emailed response to questions. "It makes no difference whether the company is state-owned or private. It's becoming increasingly difficult to distinguish the entrepreneurial aspects of investment from government objectives."